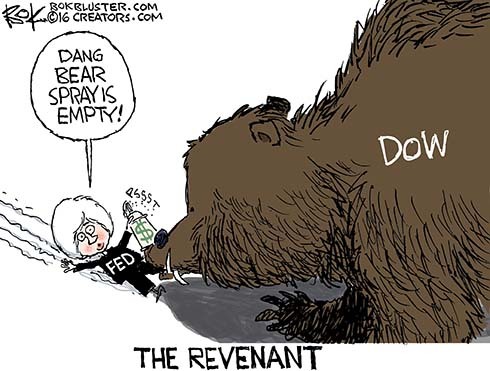 President Trump doesn’t want the Fed to raise interest rates. And he said so. 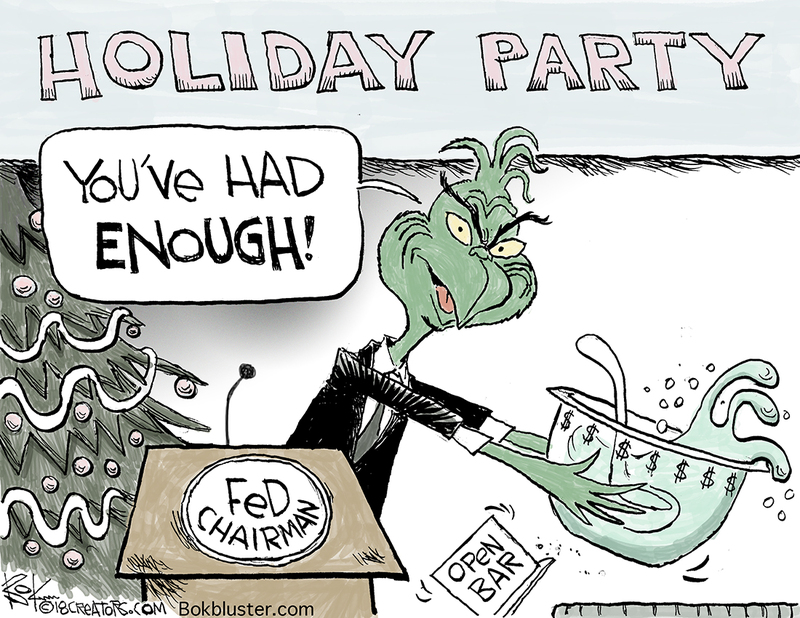 Which is frowned on since the Fed is supposed to be independent. 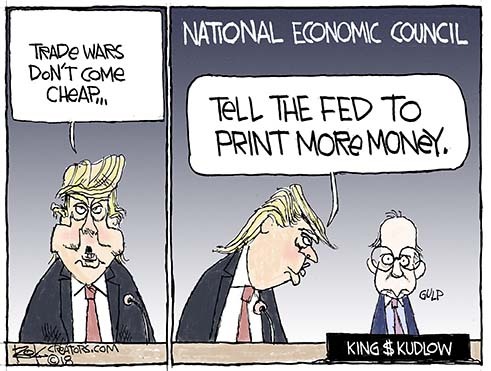 It’s also awkward for Trump’s chief economic advisor Larry Kudlow, a strong advocate for a strong dollar. 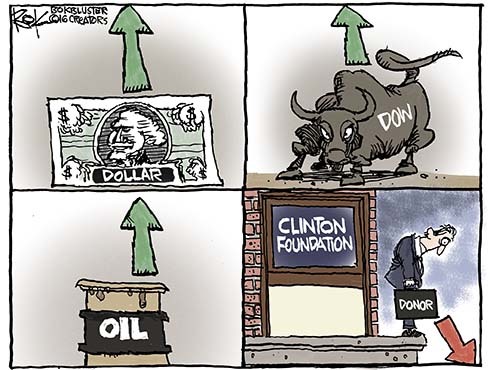 Or King Dollar as he likes to say. A strong dollar is an essential pillar of economic prosperity with minimal inflation, but we worry that the White House has not adopted this strategy. So we urge the Trump administration to return to the successful “King Dollar” policies that worked in the 60’s, 80’s and 90’s. We also worry that the recent widening trade deficit numbers will further tempt the administration into a weak dollar strategy. IBD had an editorial and the WSJ had an op-ed on Ayatollah banking behavior. Zany authoritarians worth billions who aren’t Donald Trump – I thought it was worth a cartoon. 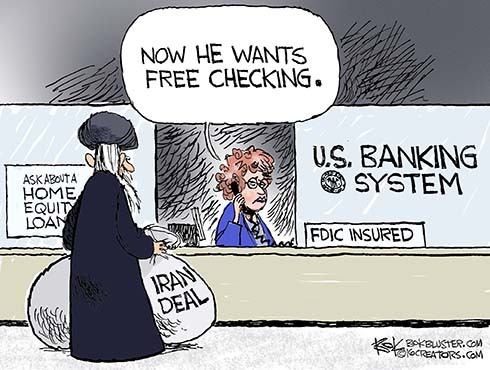 Now that the mullahs are getting their moola back, possibly 100 billion in frozen assets thanks to the Iran nuclear deal, they want to be able to move it through the U.S. banking system. That’s been a no-no in the past. Apparently it would make it easier to launder money for terrorism. On the other hand it could make it easier for U.S. intelligence to keep track of Iran’s money. Since the Iran nuclear deal isn’t a signed treaty, Iran could walk away if it doesn’t get what it wants. January 22, 2016 Dollar, Economy, stock market, Symbols, Wall St.
As I post this the Dow is up 175 points.